The apartment consists of living space and a separate bedroom. 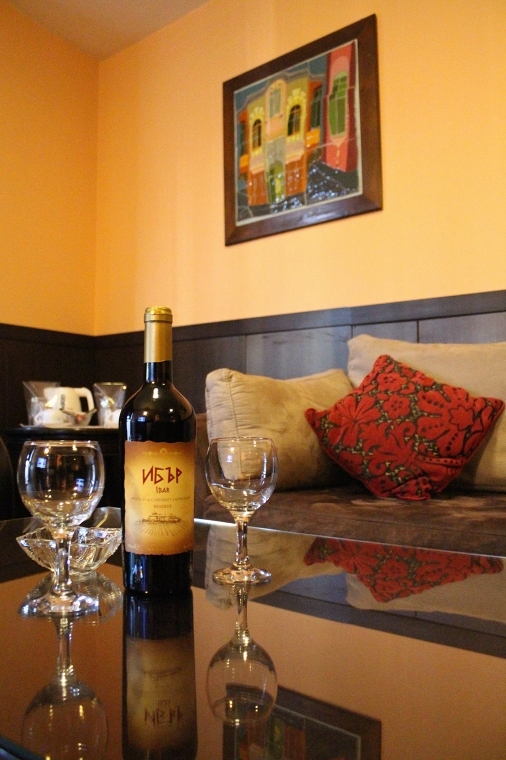 The bedroom is furnished in a soft comfortable style exellant for your rest with king size bed and flat digital TV. 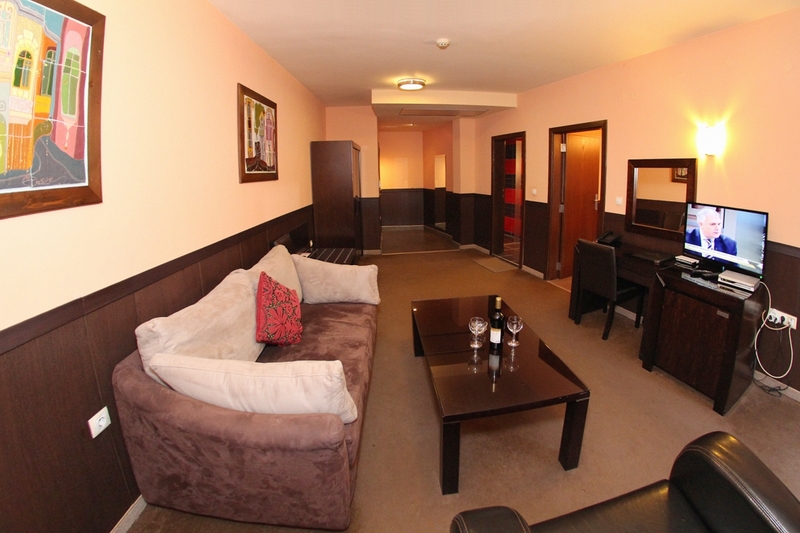 The living room has a large sofa, big TV, wardrobe, table, telephone,desk, mirror, hot drinks. 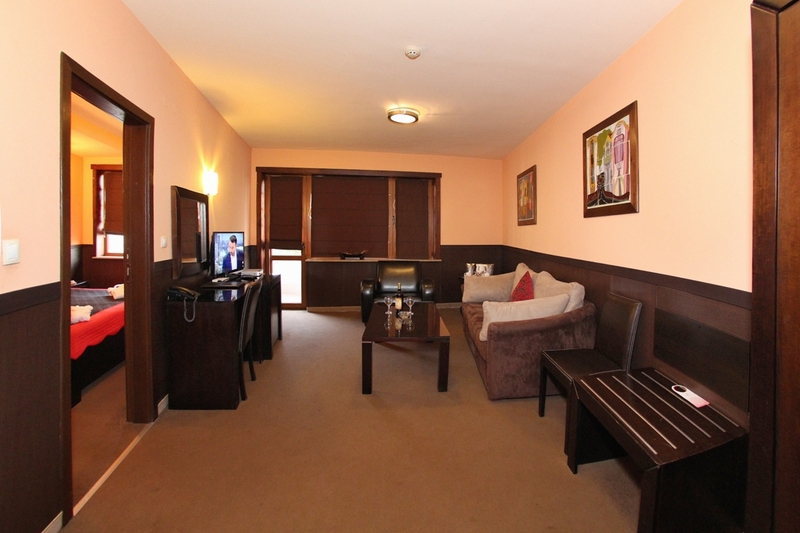 The apartment can accommodate 4 people. The apartment has a balcony with table and chairs for a morning coffee among the flowers. All windows come with shutters which block the sun when necessary. The bathroom is furnished to the highest standard.